Posted March 26, 2019 by Town Hall Terrace & filed under Things to Do Around Town Hall Terrace. The sun is shining, there’s warm weather in the forecast and it’s finally beginning to feel like spring here in Western New York. After spending a long winter in hibernation, we could all use an excuse to get out of the house and celebrate the start of a new season. And what better way to welcome spring then by sampling a diverse selection of wines from some of the best vineyards in the state? 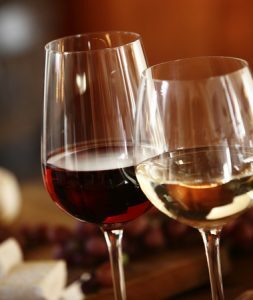 Next weekend, on Saturday, April 6, the Buffalo Wine Festival will return to the Buffalo Niagara Convention Center. This event will feature 30 wineries, seven local food vendors and a variety of wine-themed entertainment options. Attendees can choose from two afternoon and evening tasting sessions, and VIP tickets are available which offer an extra hour of tasting and a $5 festival gift certificate. A few of the most popular wineries in attendance will include Lakewood Vineyards of the Finger Lakes region and Schulze Vineyards & Winery from just north of us in Niagara County. The event’s food vendors, meanwhile, will include East Hill Creamery and Gourmet Creations by Tami. You can purchase your tickets online today, or visit the event’s website to learn more about everything the Buffalo Wine Festival has to offer. But don’t worry if you’re not able to make it to this year’s wine festival – there will be plenty of other great events to enjoy in Western New York in the coming weeks and months. To keep up with everything going on in our area, stay tuned for the latest updates from our blog at Town Hall Terrace!